Confession: I feel like I’ve been holding out on you guys. It’s been a solid eight weeks or so that a new salad has been in serious rotation in our lives. Showing up at my dad’s birthday, dinner parties with friends, lunch on a random Tuesday. It’s made it’s way around. 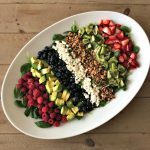 There’s nothing over the top about this salad, which is good. 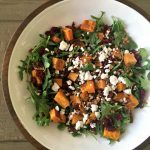 Salads aren’t typically the stars of these deep winter months. We’ll leave that to the chilis, soup, stews, and delicious braised meats in heavy bottomed pots. It’s their turn to shine. Yet this salad does do something so brilliantly. It highlights all that comfort food oh so well. It’s on the sweeter side, which pairs so perfectly with the saltier main dishes. Cranberries, toasted walnuts, feta, and pomegranate arils give everything texture and color and crunch and the sliced pears hang out perfectly on top. Gotta go with what’s in season. Slim pickings right now but the tender pears absolutely nail it. And hey. Let’s not forget to mention you’re eating and feeding your guests raw spinach. We all know the benefits, there are about a thousand, so it’s a wonderful choice. And I don’t know about you, but if I’m eating raw spinach, somehow eating the warmer and gooey comfort food along the side doesn’t seem as detrimental. 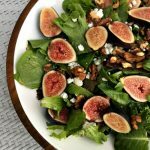 Grab a heaping portion of this salad, pair it next to an appropriate portion of the comfort food, and all is in perfect balance(ish). 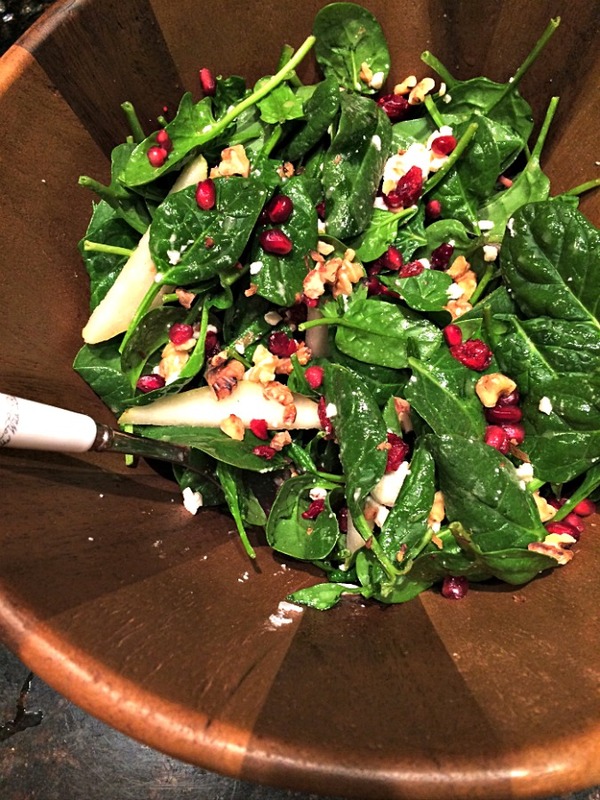 A healthy winter salad full of spinach, pears, cranberries, feta and more! Whisk all dressing ingredients in a bowl to blend. 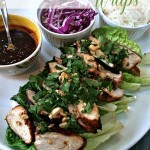 Place all salad ingredients in a large salad bowl, drizzle with desired amount of dressing then toss to evenly coat. Serve immediately. This looks delicious! I bet it would be great with dried blueberries and apples too. Thanks for the inspiration for what to do with all the spinach I’ve got in the drawer this week.